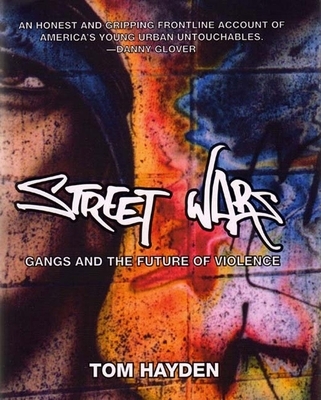 A gripping and honest account of the culture of gangs, Street Wars is essential reading for anyone concerned about cities, violence, and the future of urban youth. Though never officially acknowledged, over 25,000 young people have died in America's gang wars since 1980. In cities across America, members of the Crips, Bloods, Mara Salvatrucha, 18th Street, Latin Kings, Blackstone Rangers, and Gangster Disciples are like traumatized war veterans with no way home. Drawn from ten years spent as an activist and public official working to understand and prevent gang violence in Los Angeles, Street Wars is Tom Hayden's searing indictment of the neoconservative politics of law and order that dominate current policy and suffocate inner-city youth. Weaving together cutting analysis and numerous firsthand stories from gang leaders, Hayden shows how the prison industrial complex reinforces gang identity through humiliation and punishment, and reveals how globalization has created a force of unemployable men and women around the world who are defined as incorrigible, outside law and community. The final chapters advocate an internal peace process based on ideas of the New Deal to address the devastation of America's urban youth. Tom Hayden was a California state senator for eighteen years and is the author of Irish on the Inside, The Zapatista Reader, Rebel, and Street Wars (The New Press), among many other books. He is on the editorial board of The Nation. He lives in Los Angeles.